If you or a loved one has been injured in an accident you need an experienced and aggressive personal injury attorney. 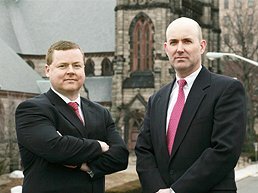 Worcester's Bodkin & Mason, LLP is a law practice dedicated to personal injury law. We fight for accident victims throughout Massachusetts and New England. Let us fight for you so you receive the benefits and compensation you deserve. Contact Bodkin & Mason, LLP. Our personal injury law practice includes advocating for clients who have sustained all types of injuries. Some of the more common personal injury cases we handle are: bodkin& mason of worcester ma Automobile Accidents Motorcycle Accidents Pedestrian Accidents Hit and Run Accidents Dog Bite Injuries Slip and Fall Injuries Work Site Injuries Wrongful Death Defective Products Medical Malpractice Head Injuries Nursing Home Injuries Injuries to Children Other Injuries Call 508-459-6253 today for a free consultation on your Personal Injury Matter. The lawyers at Bodkin & Mason, LLP used to work for the insurance industry! We understand the inner workings of insurance companies and know how to make the insurance process and the legal system work to our clients' advantage. 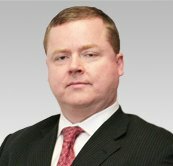 Thomas W. Bodkin, Jr. is a founding partner at Bodkin & Mason, LLP. His practice focuses on personal injury, real estate and specialized legal issues. After receiving a degree from the University of Massachusetts, Attorney Bodkin went to work in the residential lending business where he learned the intricacies of the residential real estate market. Later, before pursuing his law degree, he worked for a leading insurance company handling serious injury claims. Then, with this experience in his back pocket, Attorney Bodkin began a law practice focused on personal injury and residential real estate. Attorney Bodkin has handled hundreds of personal injury cases and residential real estate transactions. His experience in these fields combined with his diligence and attention to detail make him a stand out in the legal community. As Attorney Bodkin says, "it's not just what you learn in law school that's important, but actually knowing how to help people that counts. No matter what type of case it might be, my clients come first." 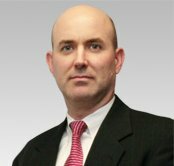 Attorney Bodkin looks forward to advocating on behalf of his clients and welcomes the challenges found in today's legal environment. Attorney Mason has handled hundreds of personal injury cases and collected millions of dollars for his clients. His in depth knowledge of the insurance process and the legal system gives him the advantage when handing difficult injury cases against the powerful insurance companies. Attorney Mason explains, "I learned a great deal while working in the insurance industry and I can now put that experience and knowledge to work on behalf of my clients."